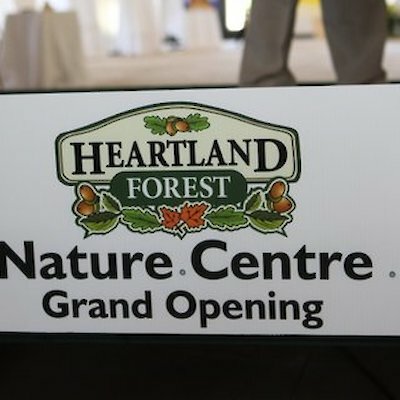 Heartland Forest is now officially open! I had the opportunity this past weekend to see a dream come true for Dan Bouwman. 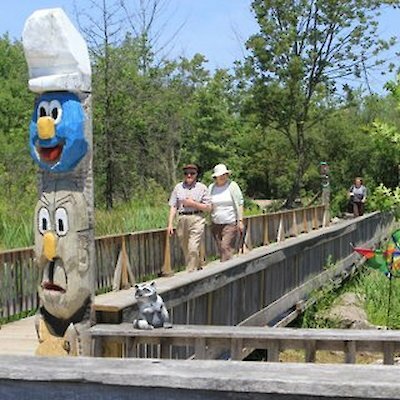 For it was about 10 years ago that Dan started to develop 93 acres of Provincially significant Wetland and Carolinian Forest as a nature and learning centre to enrich the lives of all members of the family. 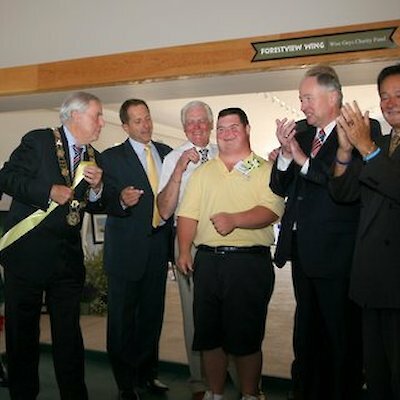 This past weekend the ribbon was cut to officially open what has turned out to be a magnificent outdoor nature park. All services are fully accessible from the forest trails, tree house and learning stations to the playing field, fishing pond, boardwalk, mini-putt and interactive classroom. It is through Dan’s tenacity, and the help of hundreds of volunteers and countless donations from government, corporations, foundations and individuals that this dream has come true. Located at 8215 Kalar Road Heartland Forest is open free of charge daily from 9 am until dusk. Donations are always appreciated. Congratulations Opa, your granddaughter Sydney would be proud of you.